The Avengers take over your fridge! 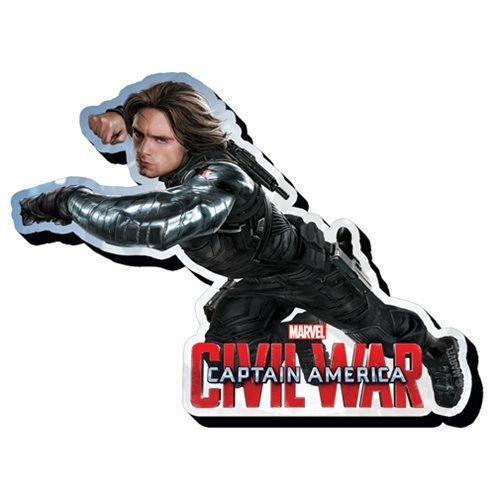 This Captain America: Civil War Winter Soldier Chunky Magnet features the Marvel hero, Bucky, ready for battle. This soft textured magnet is perfect for your home, office, or anywhere you like! Measures approximately 4-inches tall x 3-inches wide. Ages 13 and up.